If you’re looking for a way to spruce up your home without spending a fortune, get crafty with these DIY decorating tips, perfect for a weekend project. Heat up a mug of chai, grab your favorite pen and a fresh notebook and start planning. The ideas below will get you started. Color Your Home Pretty: A fresh coat of paint can add some life to more than just your walls. Paint wooden cabinets or tabletops with stripes, flowers, polka dots or zigzags. 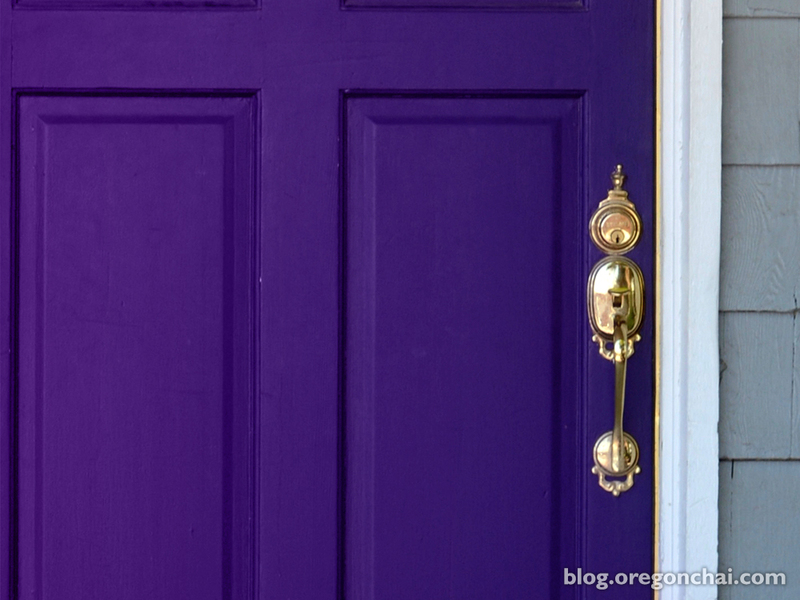 Get some fresh air and paint your front door or mailbox a vibrant color sure to stand out. Use fabric paint to draw your own designs on furniture or throw pillows. For a more muted aesthetic, paint corner cabinets the same color as your walls to give them a built-in appearance. Keep Calm and Recycle: Are you the type that feels guilty throwing anything out? No worries! There are plenty of ways to reuse items destined for the trash. Paint old cabinet doors and drill on handles to use as trays for entertaining. If you have a pretty old frame you love but nothing to fill it with, mount it on the wall around a bouquet of dried flowers hung with twine. Repurpose old wine crates by turning them on their sides and stacking them into storage units for records, books, photographs or trinkets. Sew the back pockets from old pairs of jeans onto couch cushions for a place to store remotes. Embrace Your Home’s Oddities: Perhaps your home is a little…eccentric. That’s ok, you can find a way to make it work. Take the doors off outdated built-in cabinets and turn them into funky bookshelves. Finally find a use for odd-shaped alcoves by adding an armchair and lamp to create a cozy reading nook where you can escape for a little Me Time with a mug of chai and a dog-eared book. Looking for more DIY ideas inspired by chai? Follow these instructions for a vanilla chai-scented candle to cozy up your home. Love all these ideas !!! Toate religiile inalta omul prin cunoastere.Ateismul predica ca inteligenta nu este nimic.Cei care incurajeaza exorcizarile sunt tampiti. Si erau dinainte sa devina "pastori crestini".Sa nu mai zic de pastorii ateisti Stalin, Hitler, Mao, Pol Pot, Ceausescu etc. care "incurajau" exterminarile in masa! it back in December, when a Wal-Mart employee was trampled to death opening the front doors for the Black Friday ( day afterThanksgiving) sale …. who knew working at Wal-mart was one of this country’s most dangerous jobs? zephyr d, your remarks about Romney’s underwear add nothing useful to the conversation. They only come across as a shot at Mormonism and distract from your larger comment.